If you are a new a homeowner purchasing your first HVAC system or a season homeowner, there are several crucial things to know before you install a new HVAC system. 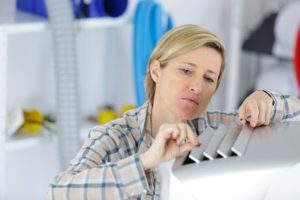 When picking out a new furnace, heat pump, or perhaps a new air conditioning system, you have to hire a professional with several years of experience and wonderful reviews. Apart from the engineering modifications to current mechanical systems, your HVAC contractor can assist you in selecting the most appropriate system for your home, taking into consideration the characteristic and size of your house and your comfort as well as budget concerns. In case you are installing a brand new HVAC system or want to know if it is more sensible to replace or repair the unit, provided below are some of the factors that you need to consider before you make a decision. Among the first things you need to consider is the heating and the cooling capacity of your new HVAC system. You need to ask the HVAC contractor regarding the reviews of the system and if or not it meets the minimum requirements and are correctly sized. Heating system capacity is measured by British Thermal Unit or BTU, which is comparable to the amount of heat required to raise a pound of water by one degree Fahrenheit. Although the input capacity measures the volume of gas burned (not considering the losses due to combustion), output capacity is the amount of usable heat is produced. If you consider the BTU ratings, be sure that you know if it is input or output. Brand new units have smaller input BTU ratings because they are much more efficient at producing more heat and therefore more BTU output. Generally speaking, the heating capacity is greater if the BTU rating is higher. Furthermore, cubic feet per minute or CFM, how many cubic feet of air could pass by a fixed point per minute, is crucial for selecting the appropriate capacity for your HVAC system. Fortunately, selecting the correct size, capacity, as well as the type of HVAC system is left up to your HVAC contractor. Complex measurements are used like ACCA’s Manufal J requirements for correctly sizing a unit. Too big and you will be wasting a lot of money and energy; too small, and you will be overworking your HVAC system without feeling comfortable with the temperature inside your house. In case your Florence HVAC contractor tries to size your brand new HVAC system according to the square footing only, then he is doing it wrong. You need to make sure that your HVAC contractor inspects your home thoroughly before sizing a new system. They must never just replace the current system with one that has a similar size. Inspect the capacity of your new HVAC unit before you buy it so that you can pick the best air conditioner for your house. Rather than British Thermal Unit (BTU), the air conditioners’ cooling capacity is measured in tons. When it comes to your heating system, it is crucial to pick out a cooling capacity that is based on the needs and size of your home. By talking to a licensed and experienced HVAC contractor, you will be able to pick out an air conditioner that can provide the correct amount of cooling in all areas of your house. Call Florence HVAC Experts if you need help in buying the right HVAC system for your house.